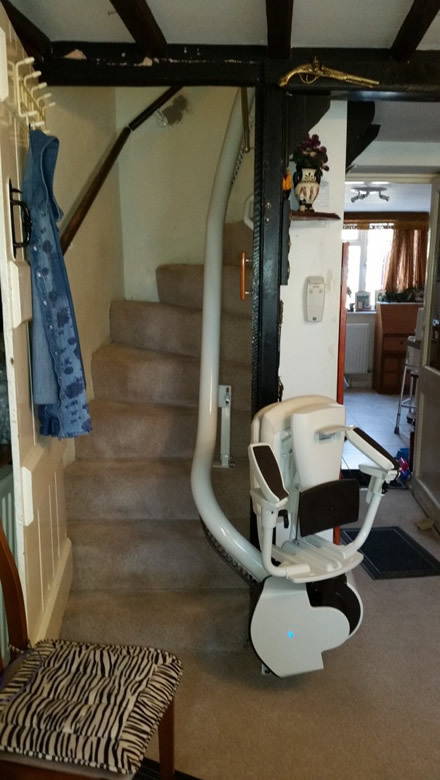 Our award winning Stairlifts featuring patented industry leading technology can be designed to fit where others cannot, and look good too. 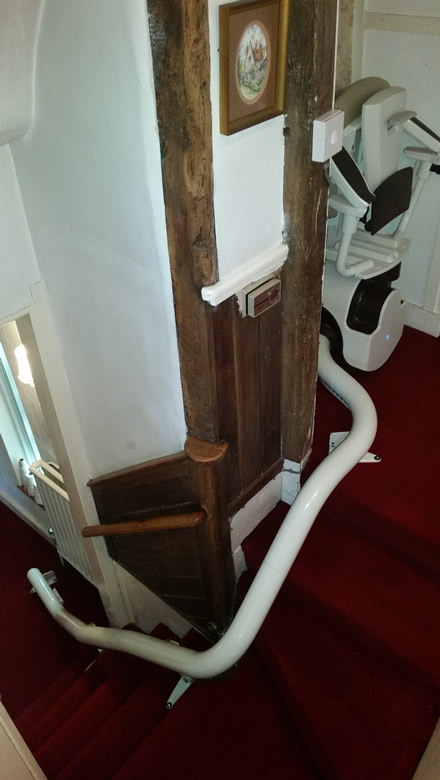 Whether it is a narrow staircase, an extremely steep staircase, or as simple as you requiring the Stairlift on internal side of your stairs allowing other stair users the wider side of stairs on corners to use the patented design and features of our Stairlift not only offer superior ride quality and reliability but allows our surveyors and design team the ability to design a Stairlift to fit where others cannot, without compromising reliability or comfort. 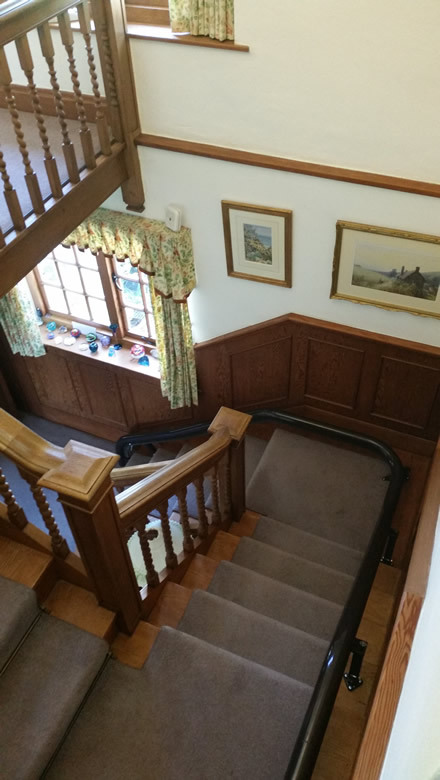 With a number of rail start and finish options to avoid having hinged rails, or to be able to park your Stairlift in a convenient place combined with a large choice of rail and fabrics and upholstery colours, our Stairlifts look good too. 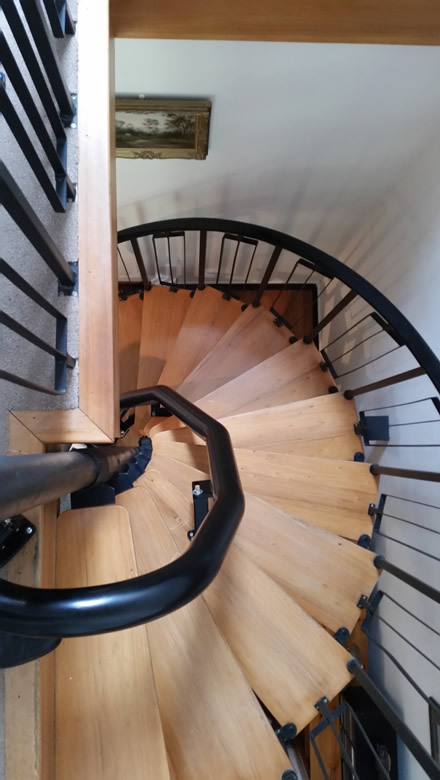 Is your stair case really too narrow or too steep? 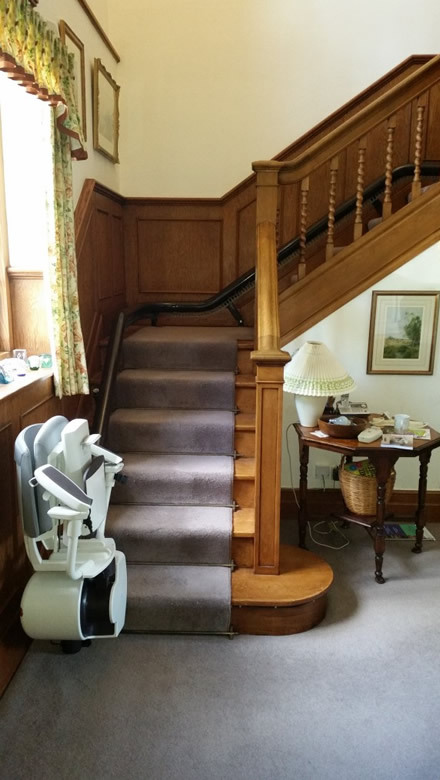 Even with a minimum width of 620mm, our stairlift can fit in a way that works for you. This includes listed buildings, high end/luxury homes, wheelchair access, multi-flight, bespoke and more. 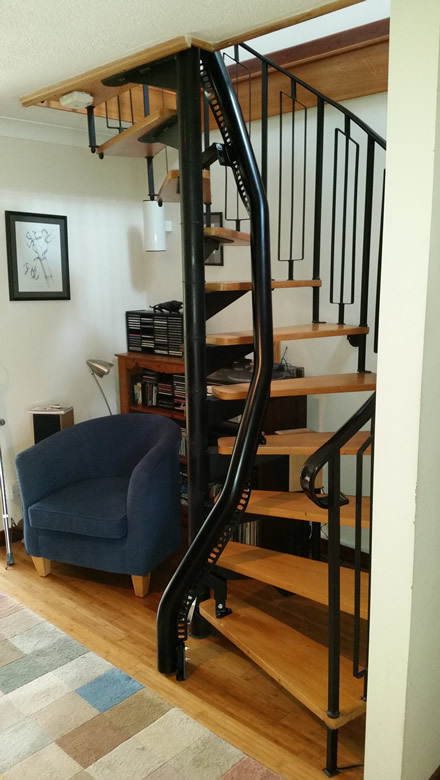 Patented technology allows us to work with narrow and steep stairs with multiple bends with ease. 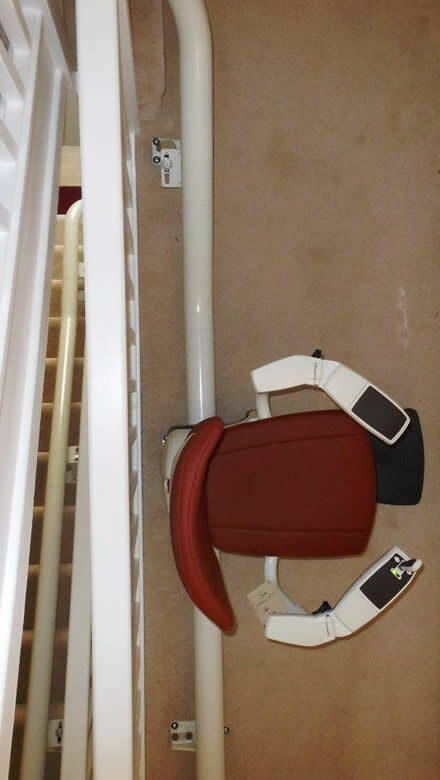 Contrary to popular belief, you can have a stairlift on spiral staircases. We pride ourselves on building a reputation of integrity at every level of our business, not just with products and price but with the level of aftercare and support that we give to our customers, often overlooked at the time of purchase. 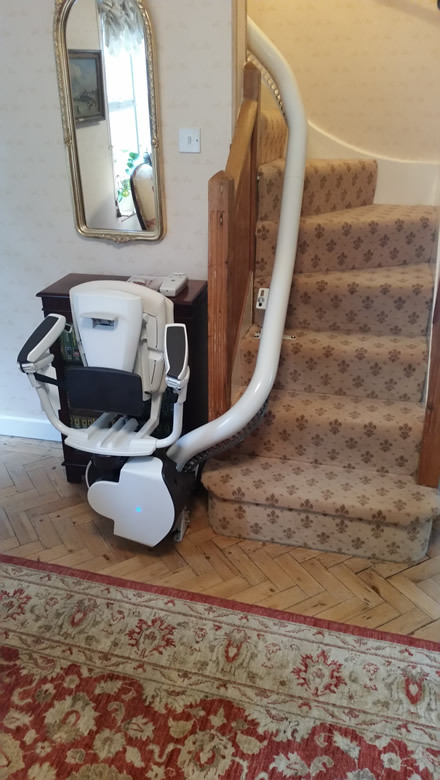 Specialist Stairlifts is a specialist division of Kudos Mobility Group. 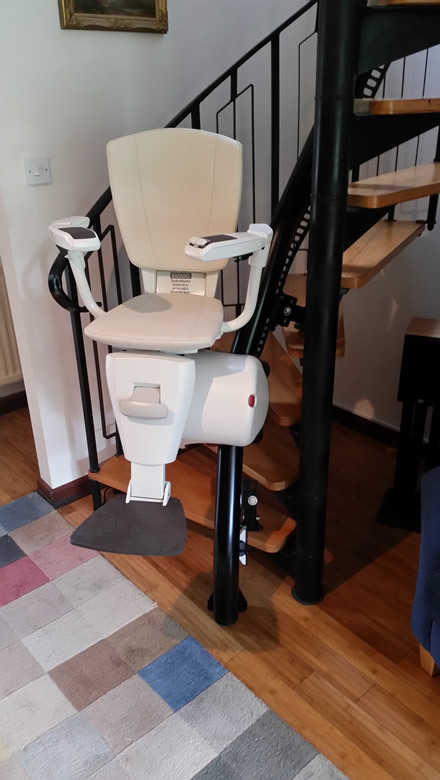 We are approved suppliers and service agents for all of the main mobility brands in the UK – which means that we are able to provide you with the most suitable stairlift to fit your home and your individual needs. 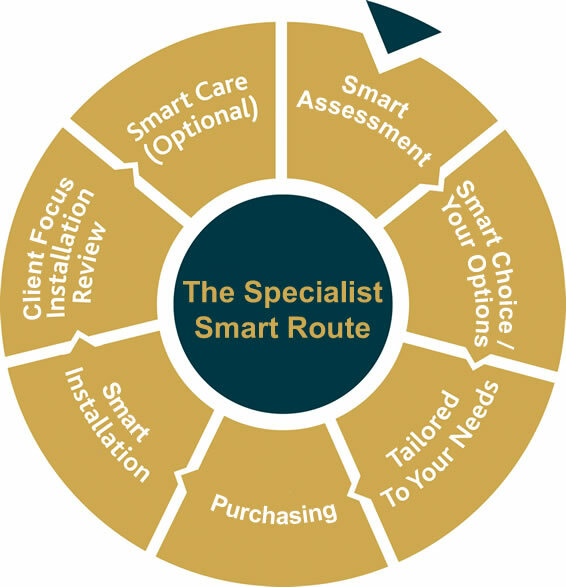 Not only can we provide the solution to make your house your home again, but our ‘Smart’ process and industry-leading aftercare represent the core foundation of how and why we began – to ensure our customers have great lives, with absolute peace of mind that everything will be taken care of. Click on the image below to read more.